You’re not the only one! Most folks who ask me about growing watermelons want to know: how to keep the bugs away, how to prevent blossom end rot, and when to pick their watermelons at the peak of ripeness. 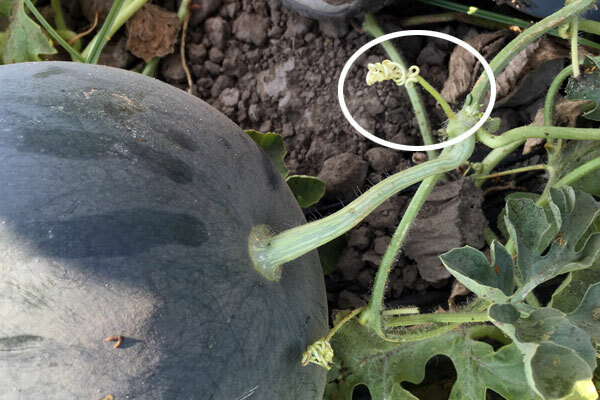 Since I’m no watermelon-growing expert (see the Great Aphid Infestation of 2009), I checked with a commercial watermelon farmer to get the scoop on picking watermelons. 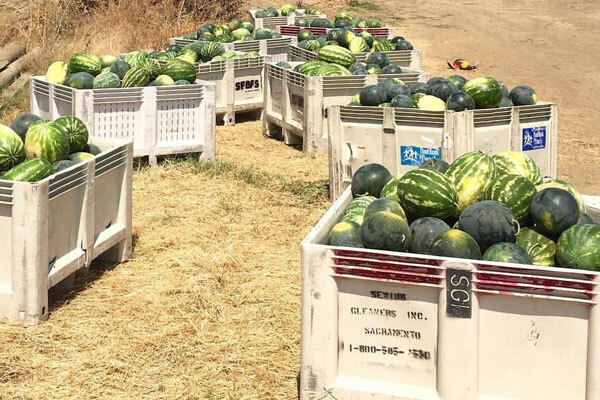 This field was so abundant that even though the main crop had already been picked and sold, our group harvested more than 10,000 pounds of watermelons for our friends at Sacramento Food Bank & Family Services. 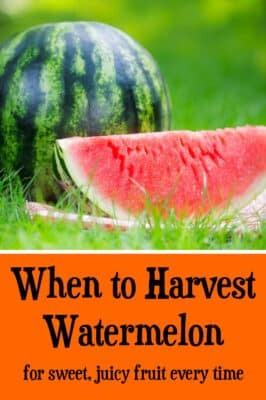 The farmer and her husband showed us exactly how to know when to harvest watermelons that are sweet, juicy, and ripe. 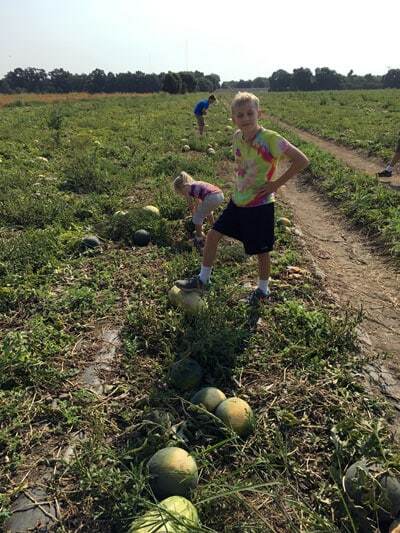 Watermelons won’t ripen after you pick them, so harvesting at the right time is important. Here are the secrets for knowing when to pick your watermelons. We’re going to use nearly all of our senses to decide if a watermelon is ripe and ready to pick. The watermelon should be heavy for its size. Moms are usually good at this—ever pick up a baby that looks small but weighs a ton? That’s what you’re looking for here. One of the melons from our garden weighed 20.5 pounds! You’re looking for a couple of different things here. The watermelon’s underside should be cream-colored or light yellow. If it’s white, it’s not ripe. The most important thing to look for, though, is the little squiggly tendril next to the stem. Want to be a watermelon-picking rock star? This is where it’s at. 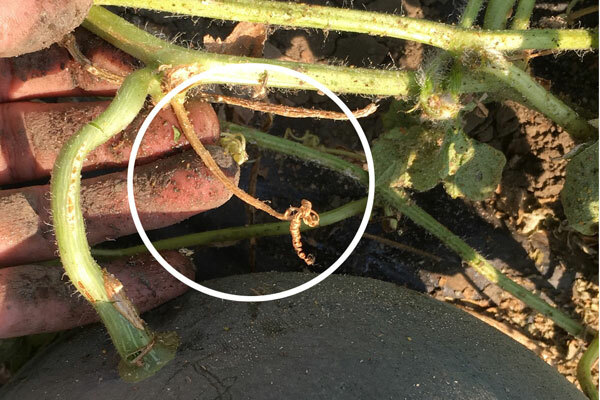 If the tendril is green, your watermelon is not ripe. Be patient, grasshopper! Check on it next week. 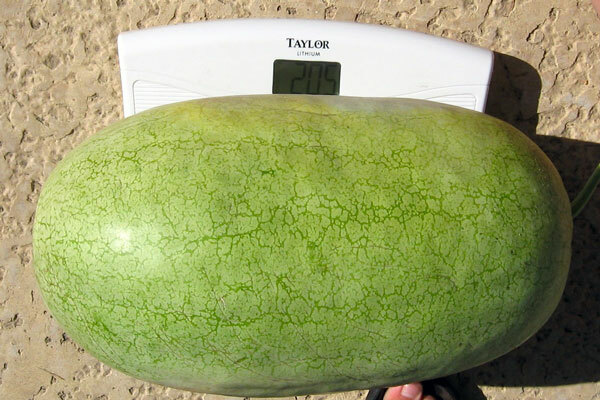 When it’s partly dried out, your watermelon is nearly ripe–come back in a day or two. The tendril is completely dry? Harvest time! Use clippers to cut the stem close to the melon. I like these because they stay sharp and are easy to use. Don’t try to pull the melon off the vine—if you damage the watermelon’s rind, it’s more likely to spoil quickly. Handle your watermelon gently, without dropping or rolling it. 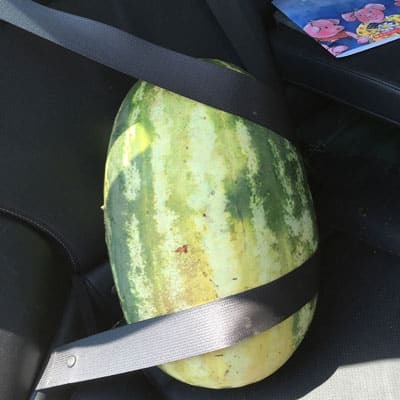 Case in point: we buckled in the watermelon we took home from the gleaning trip. Yes, yes we did. 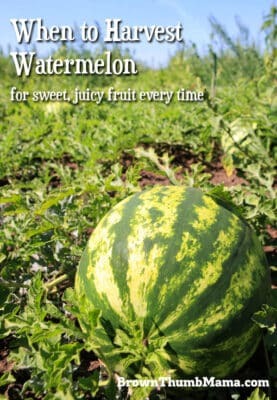 Watermelons that are planted at the same time will usually ripen within about two weeks of each other. Once you harvest your first one—look out! The rest aren’t far behind. And what do you do with all those watermelons once you harvest them? (Besides eating them until you burst, of course.) Keep them in a cool place and use them within two weeks. If you happen to pick one that’s a little too mushy to slice and eat, make watermelon limeade!